the ultimate Sonos TV speaker guide! 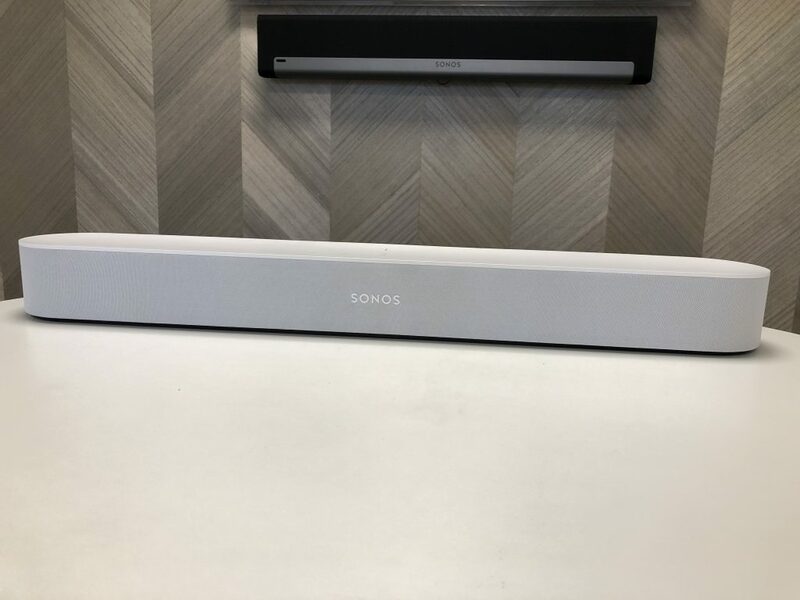 The Sonos Beam has arrived to offer you a third option to supercharge your TV audio for almost half the cost of the Sonos Playbar or Playbase. 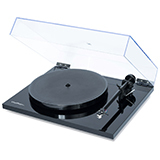 But is this enough to consider the Beam over the long-heralded Playbar or Playbase? First of all though, why consider Sonos at all? Well, no matter which Sonos TV speaker you choose, you will receive a product that distinguishes itself from all of its competition. 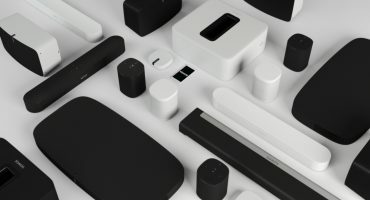 Sonos does a fantastic job of combining multiple uses that you would typically have a separate device for, into a single device. That’s why you can be safe in the knowledge you are getting a package well worth its value, forming an integral part of your home entertainment system for years to come. And it will get smarter over time, not more dated. Now, how do you decide between them? This will be a case of which one best fits your current TV set up and personal preferences. The Beam and Playbase both retain a more refined and up-to-date appearance and come with the extra benefit of the touch control panel for volume control, play/pause etc. The Playbar, due to being 5 years old, contains physical buttons on the edge of the unit but has still aged very well with its competitors and can be forgiven for this. The Beam is the smallest unit in all dimensions so will be compatible with more TV setups. A TV cabinet too small for a Playbar can fit a Beam instead. The Beam can sit flat on a TV stand, positioned in front of the TV or can be wall-mounted. The Playbar and Playbase may need some additional planning for positioning. Generally speaking though, if your TV is wall mounted, it is more aesthetic to wall mount a Playbar directly underneath (or it can go above but make sure your Playbar is oriented upside down, as the speakers naturally face upwards). The Playbase is designed for your TV to stand on top of it. 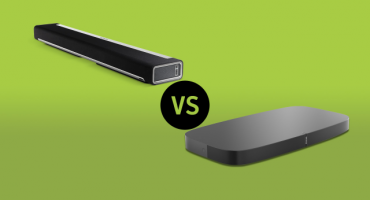 Due to being a soundbase as opposed to a soundbar, its hardened resin material takes the weight of your TV up to 35kg. All 3 speakers have various mounting options, so if you strongly favour one over another, Flexson can make it work for your set up. Another thing true of all 3 speakers is they look and feel like luxury, premium products. No cheap bits of plastic feature anywhere and will not be an eyesore in front of your TV. 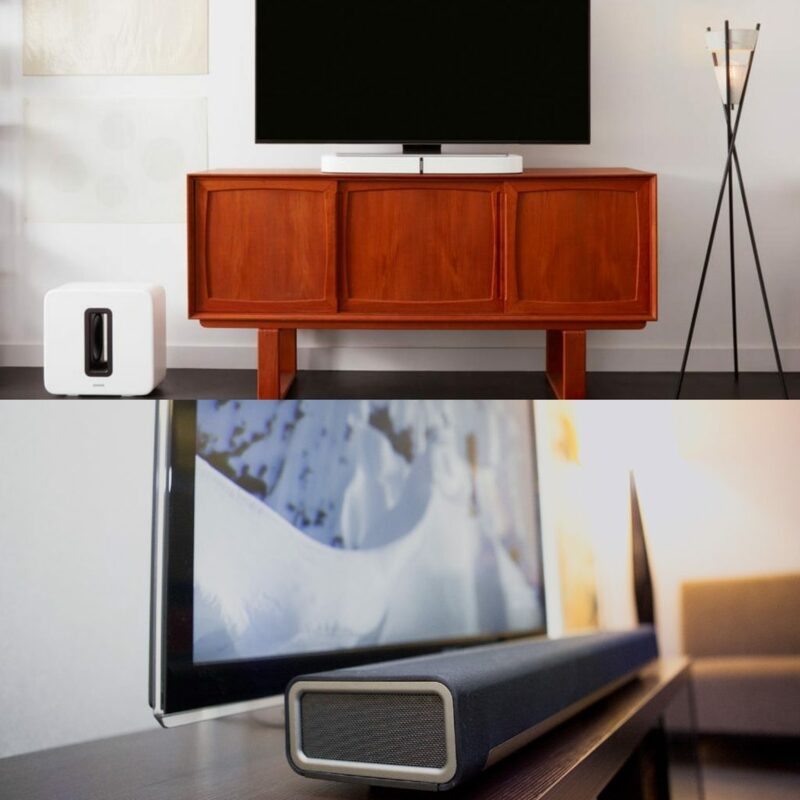 The Playbar and Playbase use a simple optical connection between the TV and the speaker. This means there are no extra setups you need to do within the TV settings. It is plug 'n' play. The Beam uses HDMI-ARC to your TV which also makes voice control of your TV possible. If your TV does not have an HDMI-ARC, you are covered as Sonos provide an HDMI to optical converter in the box. 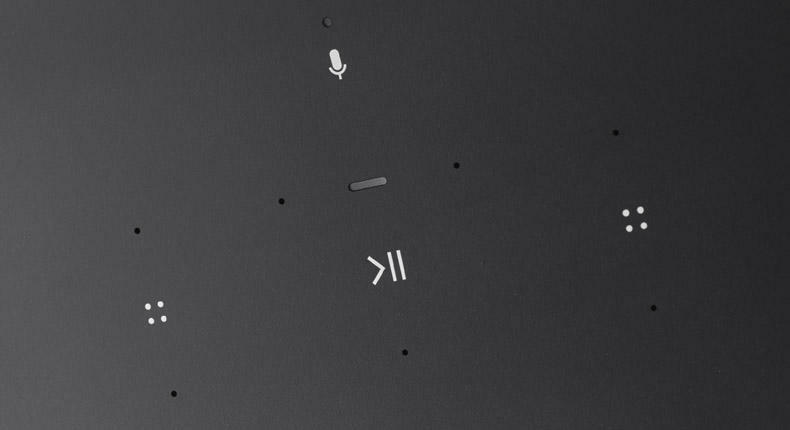 This does, unfortunately, mean you wouldn't be able to turn your TV on and off using your voice, but all other voice commands are still available. 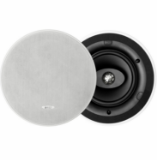 Every speaker benefits from an ethernet port for an optional hardwired option, plus a power cove for mains power. Having as few connections and ports as possible keeps the speakers hassle-free, easy to use and focuses on getting the music playing as quickly as possible. Now let's go under the hood and see what each speaker has. The Playbase on paper benefits from the highest number of speakers with its addition of an extra woofer, but Playbar has the extra width, potentially making it more "room-filling" than all the other speakers. Generally speaking, there are only very subtle differences in the sound quality of Playbar and Playbase and echoed by both being £699 RRP. Beam was crafted from the ground up. 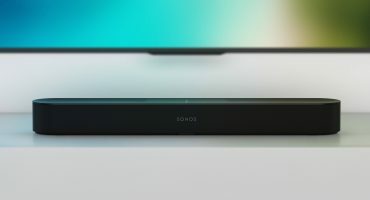 Sonos knew they needed to create a smart soundbar that was compact and fit into almost every TV set up. That’s why they custom-designed every component to ensure everything fit comfortably into the size they aimed for. 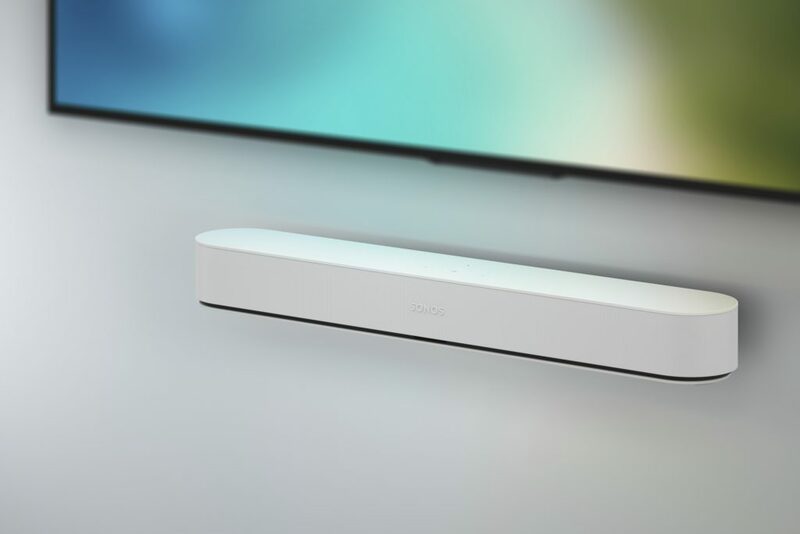 The Beam is the only Sonos TV speaker of the three to feature the Sonos open voice platform. Currently being powered by Amazon's Alexa, but with Google assistant on the way via a software update, Sonos is the clear winner for customers who do not want to be locked into one voice assistant. Customers can still use Alexa voice control with Playbar or Playbase, but this would require a separate Amazon Echo device in addition. The Beam & Playbase are also Airplay 2-enabled, allowing you to send any audio from your iOS devices straight to the speaker. Having Airplay 2 built-in also allows Apple users to utilise Siri on their iPhone or Apple watch. For example, you could say "Siri, play Coldplay in the lounge". This is especially useful for Playbase owners, as it offers a small element of voice control. Unfortunately, the Playbar due to its age is not compatible with Airplay 2. However, here's the workaround. 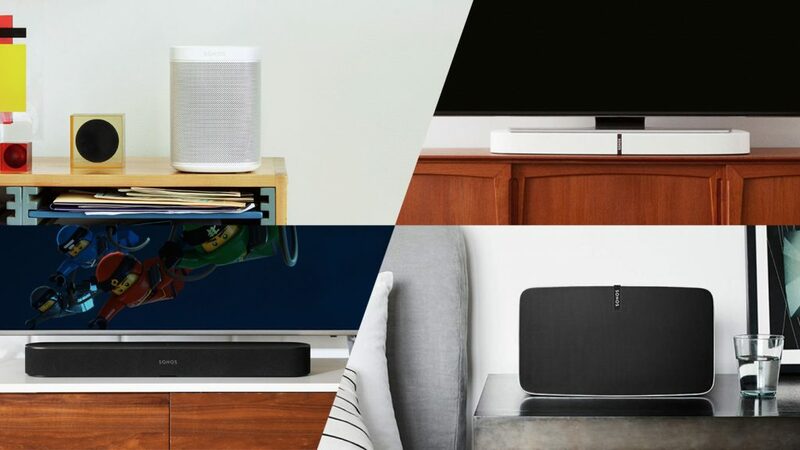 You only need one Airplay 2-enabled Sonos speaker (One, Play:5 Gen 2, Playbase or Beam) to send your Airplay 2 audio to any other Airplay 2-enabled speakers around your home. Yes, that includes Apple Homepods or B&O speakers for example. A very nice touch indeed. 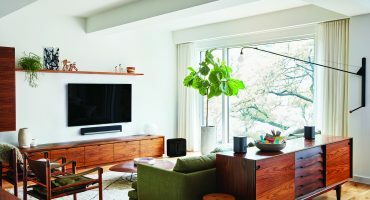 Read more about how to use AirPlay 2 with Sonos. Now for the exciting bit - how do they sound? Starting with the Beam, we genuinely believe it offers unrivalled sound quality when compared to other speakers in its price bracket of similar physical stature. Vocals are crystal clear thanks to the newly designed Sonos tweeter that sits at the centre of the speaker, directly behind the Sonos logo. It’s also got excellent bass potential due to the addition of the new Sonos cylindrical drivers. Due to their newly designed shape, they are able to produce levels of bass not previously possible from speakers of this size. It is fully packed with the latest technology to include Airplay 2 support as well as the addition of voice control from Amazon Alexa and Google Assistant due soon via a free software update. It is the perfect family speaker for those who watch a lot of TV or movies, but also appreciate their music as it’s very versatile. We often get asked, "why should I spend the extra for the Playbar or Playbase?". We think two crucial factors are at play being room size and overall required performance. While the Playbar does lack Airplay 2 support, it will fill a larger room better than the Beam with deeper bass and wider soundstage. With recent audio tunning software updates, it is still the go-to option for customers who are in pursuit of the highest possible audio quality. Due to its form factor, we believe Playbar is the best option for customers who are looking to wall-mount their soundbar underneath their TV. 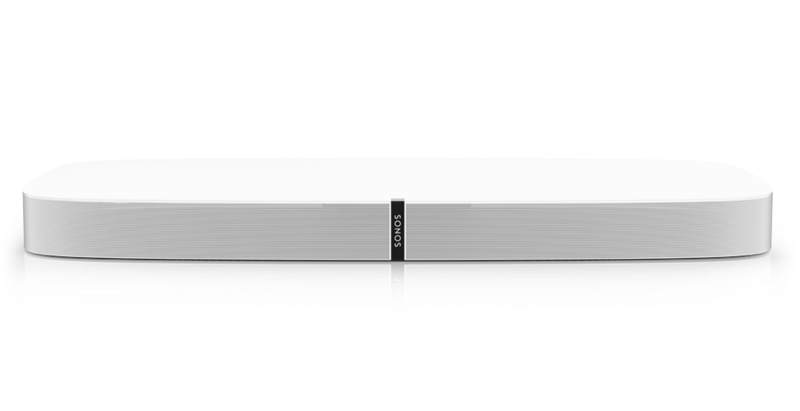 Similar to the Playbar, Playbase will fill a larger room more effectively than the Beam, due to its more substantial form factor. It will also offer a greater depth of bass than the Playbar and Beam thanks to its additional bass radiator. Some customers who purchase a Sonos Playbase don't feel the need to add an additional SUB. It is the first choice for customers who enjoy a powerful bass-line when watching films and listening to music. Being a newly released product, Playbase also supports Airplay 2, and its unique form factor suits free-standing TV set-ups perfectly. The Playbase should be at the top of the list if your TV is sitting on furniture and want excellent sound quality, while maintaining great aesthetics. We feel If you want to make no compromises on sound quality, and want to fill a larger sized room with fantastic music as well as TV and movies then you have to consider the Playbar or Playbase. These are premium products that do carry a premium price tag but offer class-leading performance. Another great feature with all Sonos speakers is access to the award-winning Sonos app. You’ll be using this as a remote control for your music, for example, to select tracks, change volume, music and of course, grouping and ungrouping music around your home - and so much more! The Sonos Playbar and Playbase have always been the number 1 choice for home cinema offering an unbeatable combination of sound quality, usability and features. It will continue to be the option of choice for people who want to achieve that extra special sound quality in a larger room. However, the £699 price tag on both of these products was the primary barrier to purchase. Now the Beam has entered the market at almost half the price, with today's most wanted features like voice control and Airplay 2, it makes it an irresistible package. If you are tired of your TV's poor internal speakers and want to listen to your favourite TV shows, movies and music all in 1 stylish unit, the Beam will put a smile on your face and wins our vote overall. 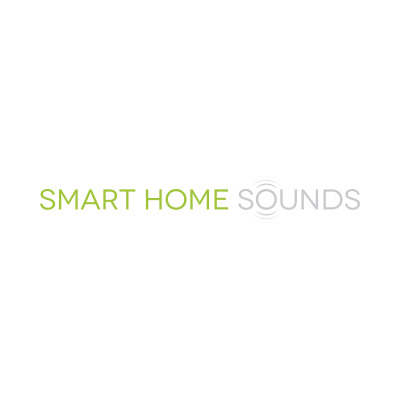 Why purchase your Sonos from smart home sounds? Lowest price promise. Seen it cheaper? Let us know here. Extended 6 Year Warranty at no extra cost. interest free pay monthly options. Always FREE next day or weekend timed delivery on all orders. Join thousands of customers signed up to our loyalty scheme, entitling them to exclusive discounts on their next Sonos purchase with us.